Do check this page on a regular basis as we will update it with our news, dates for your diary and photos from recent events. Are you interested in supporting Haringey, Hackney and Waltham Forest families? If so, you could have exactly the skills needed to make a difference to a local family in Haringey, Hackney or Waltham Forest. 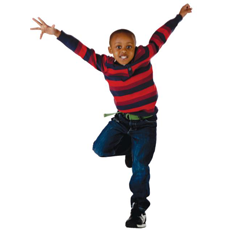 Home-Start Haringey Hackney and Waltham Forest trains volunteers to support families with children up to 12yrs. By visiting a family in their own home and offering friendship, practical help and emotional support, our volunteers represent a lifeline for many families who are finding it hard to cope. Home-Start Haringey, Hackney and Waltham Forest´s next Volunteer Training course starts on: Thursday 24th January 2019, 9.45 am – 3 pm lasting for 8 weeks (2 Wednesdays & 8 Thursdays). Home Start Haringey, Hackney and Waltham Forest will be running the Freedom Programme workshop for women. The Freedom Programme is open to any woman who wishes to learn more about the reality of domestic violence and abuse. It is open to those who are affected by the impact of an abusive relationship whether they are still with the abusive partner or have left their relationship. The aims of the Programme are to assist women to identify and understand the tactics, behaviours and beliefs of abusive partners, to identify the effect and impact of domestic violence on children, to assist women to recognise future abusers, to help women gain self-esteem and the confidence to improve the quality of their lives. Course dates: Wednesdays - 6th, 13th and 27th February and 6th March 2019. Come along and learn about managing money with Activities, Free Information and Guidance to help your money go further. Tea/Coffee and biscuits provided thoughout. *Includes 1 ´Family Learning Day´ when you can involve your children. PLACES ARE LIMITED SO CALL OR EMAIL US TODAY!